Oh, right. I have a blog. Between a bit of a tenuous return to work after my flu episode (where I filled in for 2 people who quit and 4 more that also came down with seasonal plague) and the fact that I’ve been busy with a side project for a while, it’s been quite a few days since a real post. I have been making a few strides in the cabin design in that I’ve finalized the overall layout of the interior and most of the left side framing layout is now complete. Which brings me to licensing: I want to make this design accessible to as many people as possible without making myself liable beyond the scope of due diligence. I.E. I want to do a good job making sure I cover all my bases with regard to structural integrity, but I don’t want to be sued into oblivion for my trouble. All the structural aspects of the cabin will be open to anyone to download (I’ll probably make a full download link available here), and modify for their own needs without having to pay me royalties. All I’m asking is for the copyright to remain intact. That being said, I’ve been using a heavily modified ISC license for the past two times I’ve released any updates. This, I feel, isn’t really applicable to structure since these were originally meant for software. Being a software developer, naturally that was the first place I looked. I’m still using a heavily modified ISC license, but I’m open to suggestions on how I can license it. I need to find or create a good license that will help me share my ideas without being subject to any sort of litigation. We’re talking about structure here and there’s a real risk of injury or worse if it’s done incorrectly. But I still want to let anyone feel free to modify it without too much legal wrangling while still indemnifying me. This has really been the question that’s stayed with me since I started on this journey. I’m not a trained engineer, although I think I’ve taken reasonable steps to ensure everything is structurally sound, however I’m using OVE (Optimal Value Engineering) practices where applicable. I.E. 24″ On-center stud spacing, 6″ studs and using standard length materials (using 96″ studs as much as possible) to reduce weight, maintain proper insulation and still remain structurally sound to snow and wind loads. Also, I’m avoiding any cuts to the studs for the windows. The only cuts to the studs are at the front door and the bathroom entrance of the internal wall. I’m considering eliminating the center column by turning the bathroom wall into a load bearing one. We’ll see. OVE is still somewhat controversial among builders for varied reasons. Some people believe it’s not as secure, others think you’re not really saving on materials, so there’s no “value”. My opinion is that the “value” comes with energy-saving. Granted you’re using less material, but this is not the primary benefit. Here’s the last sketch I did of the left side external framing layout. Note: The angle of the roof is approximately 50 degrees to accommodate year-round solar panels for the Northeastern U.S. This isn’t optimal since, ideally, you should be able to change the angle, but I don’t expect people to hop on the roof every few months to do that so this angle will have to do. 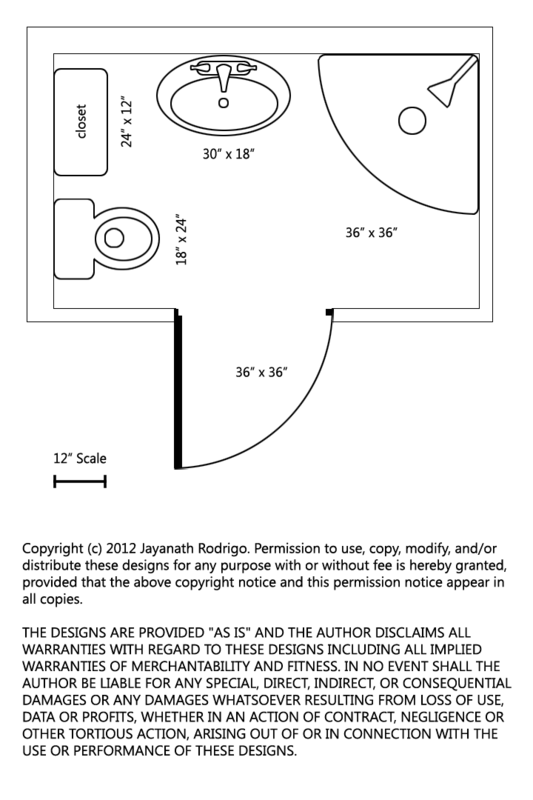 I’m still going with a 16″ x 16″ footprint with a 16″ x 8″ loft. Shaded in areas on the 1st floor are the support beams. See the previous foundation update for how they’re put together. Special thanks to Kelly and her partner for offering me advice along the way. This is an age-old adage that really should be hammered into every would be architect and amateur alike. Your interior, while you will be facing it more of the time, will depend on what’s done on the outside. That’s your envelope, your boundary, your line in the sand. Well, proving to myself that I am an amateur at this, I realised that my previous floor plan isn’t going to fit exactly within the walls. I’m not scrapping the 1st floor plan entirely, but I knew I’ll be moving things around a bit after I drew the cabin exterior in profile. Here’s the left side view, which will see a some more editing after this. Left side profile of the cabin. This is only a few hours of work with a lot of analysis that still needs to be done. 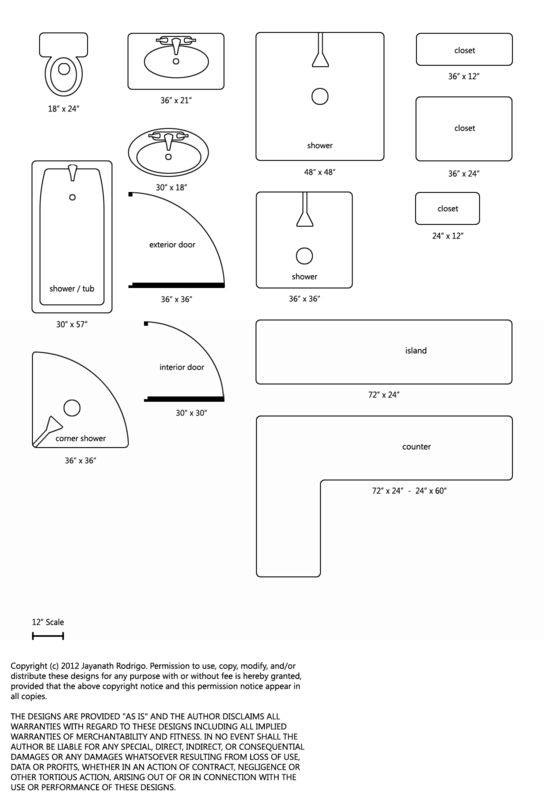 I’m not an engineer so you’ll need to run these designs past one if you want to use them to build your own cabin. I’m not building a “Tiny House” per-se, since some of those are half this size, but it is a “Small House” or small cabin at 16 x 16 feet and two floors. I’ve added copyrights and disclaimers all over the designs (this is very unusual for me since most content on this blog is in the public domain) only because I do not under any circumstances want to be sued! If you do find these plans useful or if you have improvements, I’d love to hear about them. Post in the comments or drop me a line via email. I’m thinking the structure should be built on a pier foundation since it will be the most flexible if the land I choose is uneven. And since a slab on grade would be too expensive and a full basement would be both too complicated and expensive. Now there are local code variations when it comes to pier foundations, so it’s best to look those up on your local county and state websites or call the local building department. Here in New York, most pier foundations are built with a concrete footing under treated lumber. The depth is usually 4 feet + 6 inches or so of gravel to allow for drainage, but it may change if your frost line is higher or deeper. Even though this isn’t the standard for all locations, it’s best to make this the minimum since it will account for the frost line in most cold climates in the Northeast. Note: There is a 1″ standoff anchor connecting the post to the concrete pier since this will prevent premature decay of the wood. Yes, even treated lumber can decay if it’s kept in contact with water for too long so a standoff anchor is not only part of most building codes, it’s also a good idea. There will be up-thrust down-thrust (see Wally’s comment below) as water takes more volume as it freezes and you want to make sure the concrete is well below the frost line to prevent this from happening. I don’t know if the rest of this is 100% sound so please consider carefully before blindly copying (disclaimers notwithstanding). I’m thinking of using double 2 x 12 treated lumber as beams since I’m hoping to avoid a solid beam (extra weight/cost), but if this isn’t enough, I’ll need to go with a solid beam anyway. 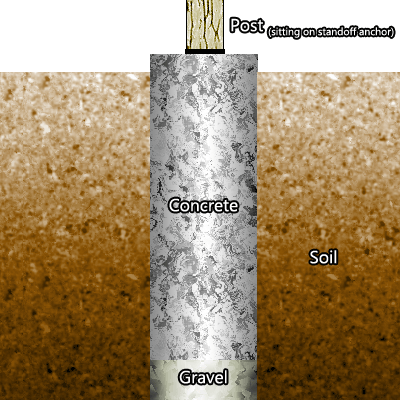 When using 4 x 4 posts, generally a 10″ diameter concrete pier would be the minimum, however for 6 x 6 posts, you’ll need at least 14″. I’m going to go with 6 x 6 posts with 18″ for insurance since I do not want my cabin to move once it’s built. If 6 x 6 isn’t strong enough, I’ll have to bump that up to 8 x 8 posts with 20″ diameter concrete pier. I’ve seen a lot of examples out there that show posts connected to beams via carriage bolts alone and I think this is a very poor choice from an engineering perspective. The entire load is then depending on the shear strength of the bolts. 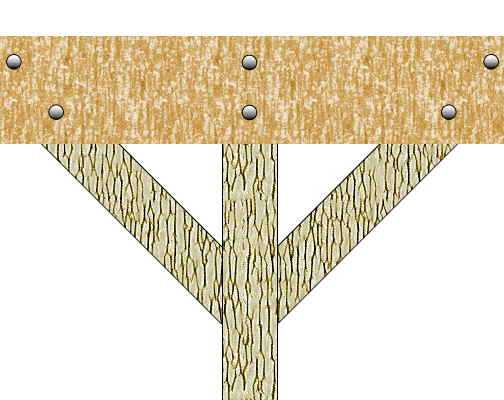 A better option would be to notch the posts in, rest the beams on the notch and then attach them via carriage bolts since that would ensure the post is bearing the load and not the bolts; their job should be just to keep the beams attached to the post, not to bear weight. 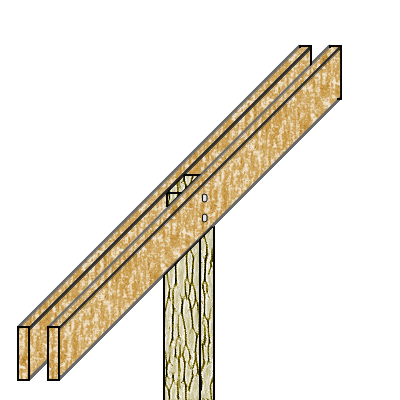 Notching the post in and setting your beams is better than having the carriage bolts carry the weight of the beams alone. You’ll also need support braces between posts since the span is over 4 feet (it will be 8 feet specifically) with 9 posts total since this is a 16 x 16 cabin. As mentioned above, if this isn’t good enough, I’ll have to go with a solid beam and 16 post layout every 4 feet. It will mostly depend on soil conditions. This center post arrangement adds a great deal of stability to the structure. Naturally, the posts in the corner can only have one brace. This too must be notched as mentioned above and not merely rest on the carriage bolts. 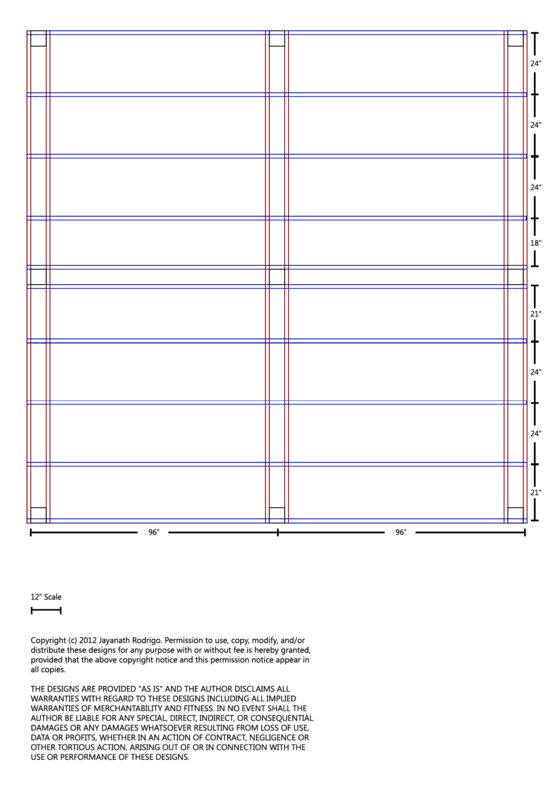 Here’s the post and beam layout. Note, even though it looks like I’ve wrapped the beams around the post, they are to be notched. I’m just putting them outside the post for emphasis. Posts beams and joists laid out. Note the measurements are for mostly 24 on center. I went with 24″ on center to allow for more insulation and I think I can get away with it since the joists will be 2 x 12 (just like the beams), I’ll be using 23/32 or at least 5/8 plywood for the subfloor with hardwood flooring on top. This should also keep deflection down even with 24″ joists. After going over some of the ideas from my last post on designing the bathroom, I realized that it would be best to put most of the plumbing inside a shared non-load-bearing wall with the kitchen. This would simplify both plumbing and electrical runs and I wouldn’t need to knock out holes in critical structure. All the windows are 24″ wide (height to determined) and the window on the staircase will be at the same height off the landing as the rest of the windows are off the floor. Lot of stuff happening here. 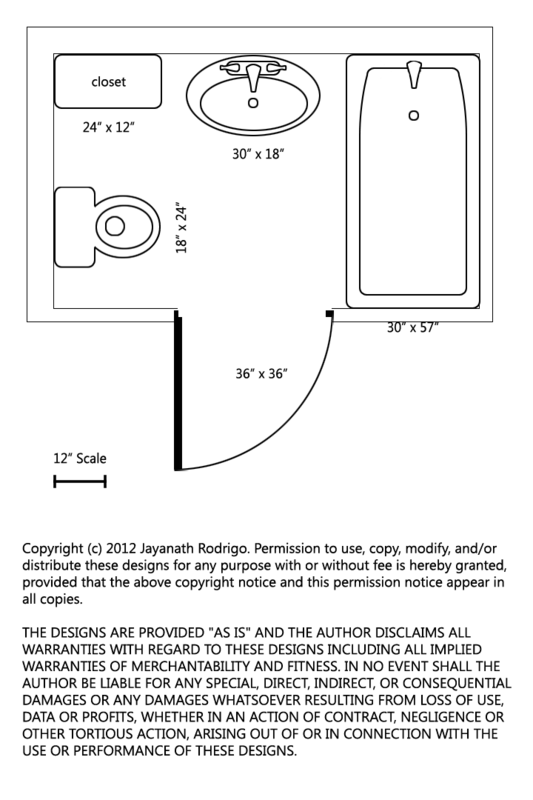 The bathroom can be elevated a foot off the floor giving a 7 foot clearance to the ceiling if the rest of the floor is 8 feet (96″). This elevation will allow me to run plumbing underneath the bathroom without cutting into the load bearing joists below. It will also alow me to reach the shower lines without too much trouble. The small square in the middle is actually the load bearing column continuing from the floor to the ceiling. The 2nd floor joists will also be tied to this post. The sink location is variable, but I want it near a window so I can look outside while washing the dishes. The landing and stairs heading toward the front door can house a closet so I’ll have plenty of storage space. The one thing I really wanted to make sure was to have all “walking areas” at least 36″ wide. This is just a personal preference since I like to walk up and down a lot, especially when I’m thinking, and I want to make sure there’s nothing in my way. The copious amount of windows is to also make sure I don’t feel cramped. I figure there’s plenty of room for a convertible couch and maybe a couple of futons on the first floor alone in case I have folks drop by to stay overnight. Finally, here’s the layout and foundation superimposed. 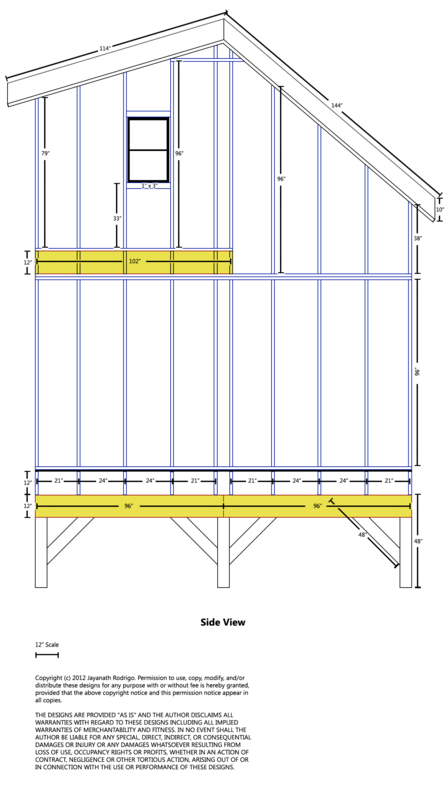 Note how 24″ on center joists and 24″ wide windows go well together. Also note, that if I do need to cut under the floor, I don’t need to cut any joists to get to the plumbing wall since they’re between joists, not on or across them. The second floor will more or less be completely open. 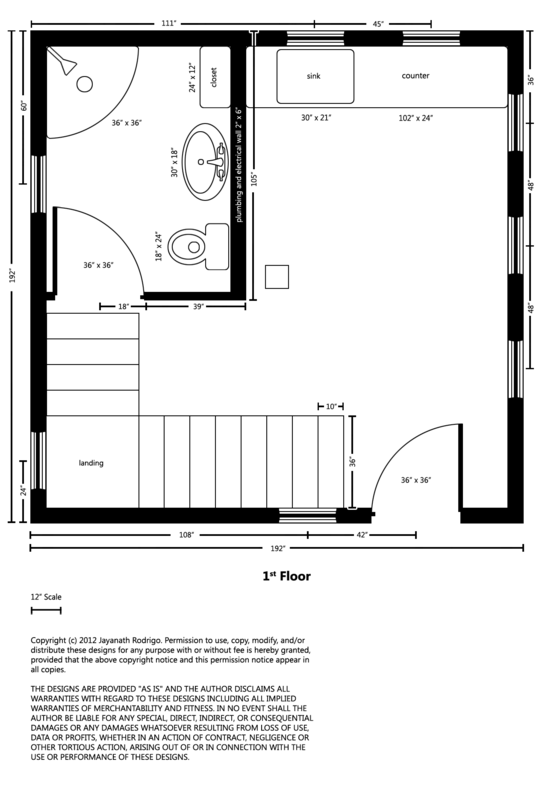 I don’t want to have too many walls in between main areas (in fact, I’d rather not have any interior walls at all) and notice the only wall on the 1st floor is to separate the bathroom and to provide plumbing and electrical space. 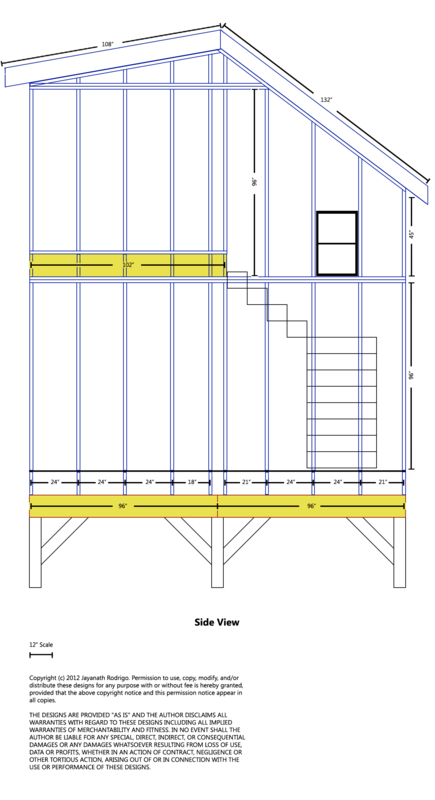 I think the 2nd floor won’t extend the full length of the cabin and instead will open up to the 1st floor via a balcony facing the front door. This will make the place feel much larger and also let me see who’s at the door without coming downstairs. I’ll come up with something on it later. On my way home from work, I was thinking about what kind of bathroom I want to build in for my cabin. The one thing I don’t need is to feel cramped, so I want to put in a window somewhere. There’s really no substitute for natural light even if it has to come through frosted glass or a curtain (I prefer the curtain). Now that leaves size. There are many examples on the web of tiny houses that are as big as the average bathroom in the U.S., but that’s really not what I’m looking to build. 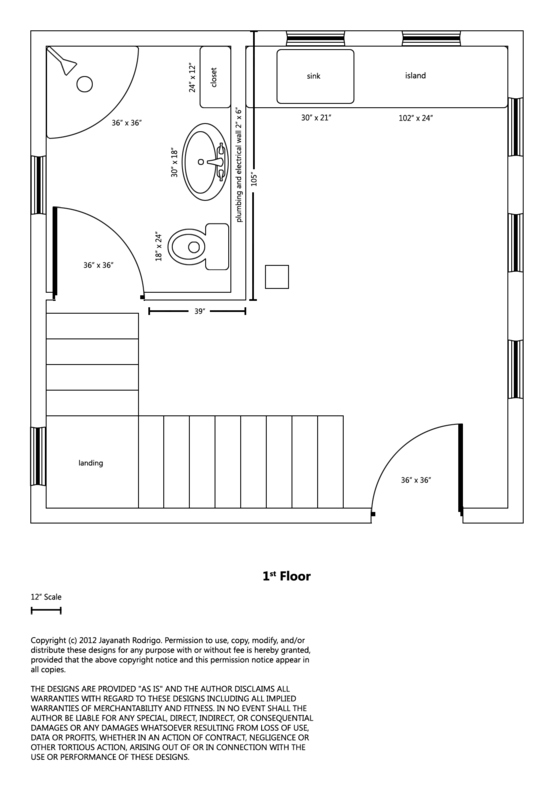 My bathroom now is 5′ x 7′ and being in the middle of the apartment, it has no windows. With a tiny home that’s not a problem anymore since practically every room can have windows… or the whole house can be just one room with just the bathroom separate. This afternoon, I sat down to sketch out a few ideas and the first thing I realized is that I know nothing about blueprints! After a bit of Googling, I decided I didn’t like the symbols ordinarily used in blueprints. They’re a little bare and often have little in common and almost all of them are not to scale. E.G. 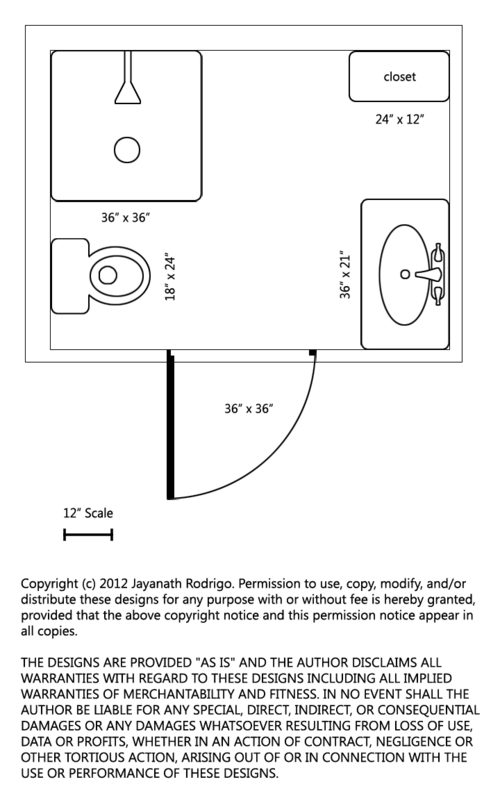 A toilet seat and bidet looks almost exactly the same and both are about the same width as a shower on some blueprints. Even worse, most have heavy-handed copyright licenses. Since I don’t want to get sued, I created a few of my own symbols for the bathroom. I wanted some that I can move around on a blank canvas and get reasonable accuracy in scale and still be clear in any orientation. I sent a few of these to a friend and he suggested adding my own license/disclaimer to avoid the afore-mentioned potential lawsuit as well as making sure these are completely free to use for everyone. Ideally, I’d like to see people create their own layouts from these and perhaps make improvements since I plan to add more to them. I have the PSD files for these which I can email to anyone interested. 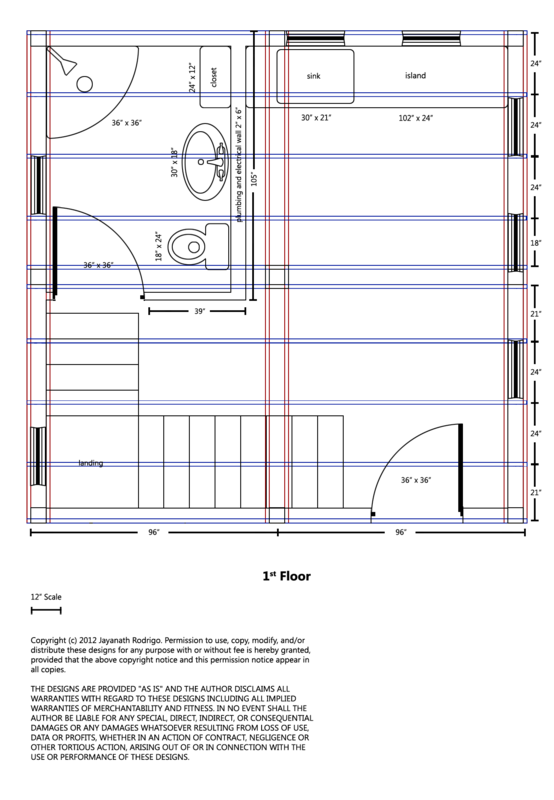 Sketching on a computer is a bit awkward when you don’t have specialized architectural/blueprint/schematic software. I figured I’d start with something I know, which is Photoshop. First, I set the canvas ruler to inches instead of pixels and pulled up the grid (Ctrl + ‘ [apostrophe] on Windows). 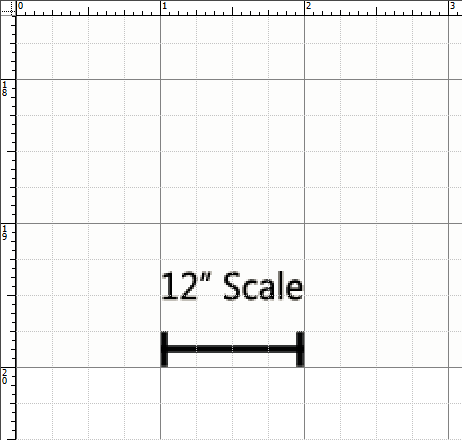 I figured I’ll make each small square on the ruler 3 inches as a basic guide so a big square would be 12 inches (there are 4 per big square). Note the inch ruler on top and left. There is a little more than 36 square inches represented here. And I threw together a few representations of actual “stuff”. These are measured from my own bathroom, but the doors sizes are bigger as well as the shower stalls and closets (none of which I have in my bathroom). Also, I have a vanity not a pedestal sink. I also started on some kitchen stuff, but I’ll add to these later. These took a bit longer than expected, but here are attempts 9, 10 and 11. Note the top and left walls are thicker because they are load bearing. The thicker walls are 2″ x 6″ load bearing studs, which would also allow room for plumbing. I’m actually thinking of creating a false, non load-bearing, wall in front of the actual outside wall because all the pipes may weaken the structure. That’s the biggest interior at 8′ x 7′ and the rest are 8′ x 5′. This is the closest to my bathroom, except mine is slightly shorter and has a vanity instead. I’m starting to think a bath is a waste of space in a tiny house. Plus all that wasted water! I think we found the Goldilocks zone. Note: Except in the corner shower, the shower head cannot face the door of the shower since that will inevitably cause leaks. The corner shower seems to be the best balance between size and flexibility. The first design can quite easily fit a window between the closet and shower and maybe another one between the closet and vanity. The second, while being the most “familiar”, can have a window between the toilet seat and the closet while the third can accommodate one directly above the toilet seat. While the first one offers the most amount of space inside, that also eats into the rest of the cabin, which I plan to be 16′ x 16′. This will be a two storey structure, but I don’t want the bottom floor to be completely taken over by the bathroom since the kitchen and living area (first opens to the second) needs to fit there too. 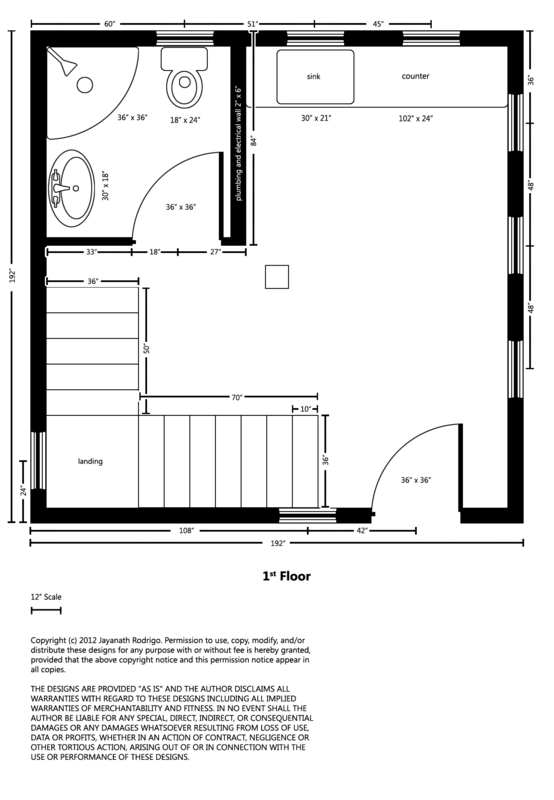 I also want to make the second floor open up to the ground floor with a balcony so the floor may be 12′ x 16′. I tried to follow the New York building codes as closely as possible, though I can’t guarantee that these won’t be 100% error free. The most important part to me was to make sure there was room for a wheelchair to turn around inside. I don’t know how long I’ll live in the cabin and in case (heaven forbid) I end up in a wheelchair, I want to make bloody sure I can still live in my cabin without assistance. Also, I don’t know if I’ll have any guests with special needs either. Once I get some more time, I’ll put together all the plumbing lines that need to go into the walls. I may change this as I draw them in since I don’t want to weaken the structure in any way by cutting into the studs for pipes, even if they’re 2″ x 6″. Please be advised that these are rough sketches and under no circumstances should you build on these without getting an architect or engineer to sign off on it! As always make sure you follow local building codes and when in doubt, call your local building inspector for advice.